Are you a canabisseur? If so, take a look through this crazy list of stoner names. It’s no secret that cannabis/marijuana/weed (or whatever you call it) has a lot of nicknames. But there are also a few nicknames for those who enjoy the wacky backy. We’ve compiled a huge list of over stoner names for those partial to a joint or two. 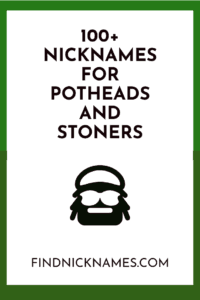 This list of pothead nicknames contains some classy stoner nicknames, some famous stoner nicknames, and a few foreign stoner names, too. For those who smoke but are looking for a list of classier stoner nicknames than the classics, look no further than this list below. Cannabisseur – Like a connoisseur, only better. Chiefer – Someone who is the chief of the reefer. Herbalist – For a lover of the green stuff. Herbivore – A plant eater, or a plant smoker, in this case. Space Cowboy – When getting as high as space, a true smoker runs the game like a cowboy. 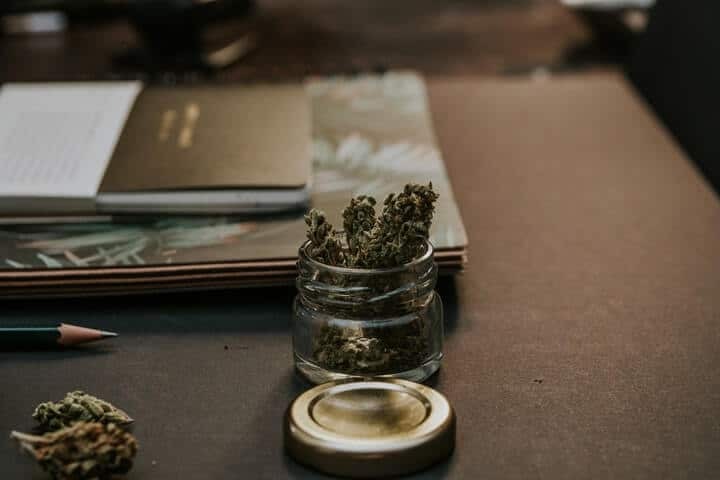 High Flyer – This isn’t only a term for those top students, a joint can give you this title too. 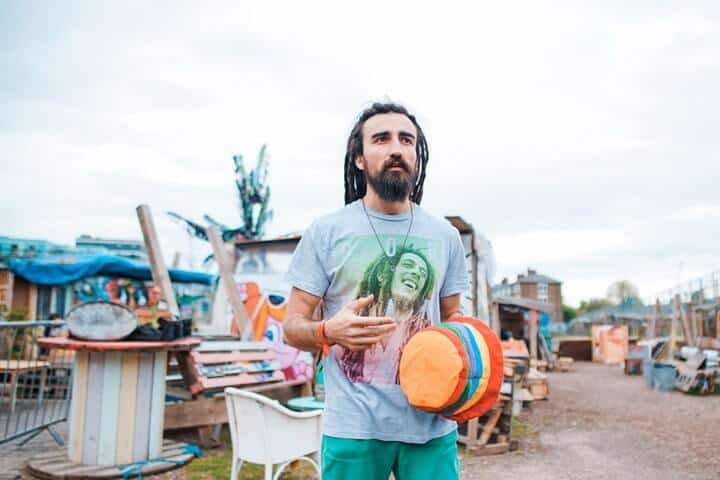 Rasta Man – Derived from Rastafarian. Enlightened – Some say weed is for stupid people, others say those who smoke are enlightened. Space Cadet – A cadet is someone training to be an officer but in this case the nickname suits a newcomer with less experience smoking weed. Caramelized Ginger – This is a name for a classy ginger-haired smoker, caramelized in marijuana. Ganjapreneur – Someone still in education but making a ton of money on the side from their hustle selling ganja. Ganja man – A popular stoner name. Ganja Planter – A popular stoner nickname. Weedpreneur – Similar to a Ganjapreneur but not quite as successful. Spliff Queen – She is the queen of rolling spliffs. Taking it back to basics, there are a few simpler names for stoners based on the act of smoking weed itself. The following nicknames are all method-based. Smoker – A pretty self-explanatory nickname as someone who smokes anything is referred to as a smoker. Blower – From the act of blowing out smoke from a joint of weed. Roller – A roller is someone who rolls a joint. Zooie – A name given to someone in possession of a joint of weed. Flyer – Head in the clouds, this is a nickname for a happy smoker. Puffer – An occasional smoker, someone who doesn’t inhale too much. Blaster – For that friend who blasts through every joint. Bong Buddy – A funny nickname for a stoner who loves his bong. While the newer nicknames can be interesting and funny, you might want to go back to classic and well-known nicknames for people who enjoy a smoke. Let’s take a look at a few of those now. Mary Jane – One of the most classic names for marijuana. Ganja – Another classic, this comes from the name of the Ganges River that flows through India. Weedhead – A nickname for someone who smokes a lot of weed. Junkie – Someone known for smoking as well as a getting high off some other drugs. Doper – Coming from the alternative name for marijuana, dope. 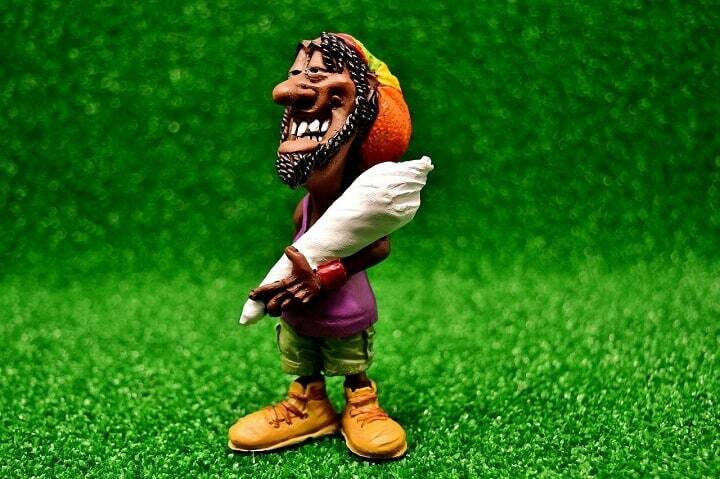 Weedie – The dealer of the group, this is a name for the one who’s always got a stash. Potthead – Classic. The regular smoker who is a little retro. Red Eye – Coming from a red-eye flight, this guy smokes all night. Hippie – Loved up on ganja with flowers in their hair. HRH – His Royal Highness. Bush Doctor – By Peter Tosh. From “ganja glutton” to “bong breath,” you won’t need to be smoking to laugh at these funny stoner names. Ganja Glutton – A glutton is someone greedy who loves to indulge their vices. This nickname is for the greediest guy with the joint. Purple Monkey Balls – The name for a particular strain of marijuana, guaranteed to make your friends laugh. Spleef Bongtoker – Derived from the words “spliff” meaning a joint of weed and “bong,” a set-up used to smoke cannabis. Weed Mower – This is for a smoker who mows through weed faster than a lawn mower mows through a field, we all know one. Iron Lungs – Frequent smokers must develop lungs of iron for the amount some of them can smoke in one go. Smokie McPot – A Scottish derived nickname for stoners. Lettucehead – For the moment when your head flops after a strong joint, e., like a lettuce. Grass Taster – Someone who has their own hydroponic factory, testing the weed as they go. Bong Breath – That one’s pretty self-explanatory, right? Asparagus – One of the weirdest slang names for marijuana, this one is for the vegan smoker of the group. Fatty Fan – Someone who smoked too much which resulted in eating too much because of the munchies. Burger Boy – Burger is a name for poor quality cannabis, so this name is for the lad lowest on cash buying the cheapest weed around. Roacher – The one who lights up last night’s roach in the morning. Roach meaning the very end of the joint. There have probably been thousands of nicknames for guy stoners invented over the years. But not all of these have lasted. Here are some of the most popular stoner nicknames which have stood the test of time. 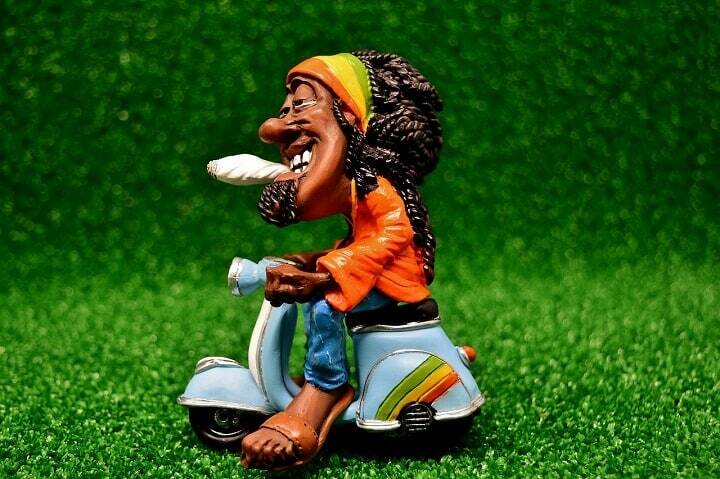 Bob – The name of the infamous Bob Marley. Marley – The surname of Bob Marley, great for a stoner guy. Damien – Inspired by one of Bob Marley’s sons. Ziggy – This nickname comes from another son of Bob Marley. Bud – The best part of your marijuana also makes a good nickname for a guy. Jerry – Inspired by the American Singer/Songwriter, Jerry Garcia. Ace – Not the ace of cards but another name for a joint, or a guy. Jack – Short for Jack The Ripper as “rip” is a slang word for cannabis. Fela – The legendary Afrobeats Ganja Man. 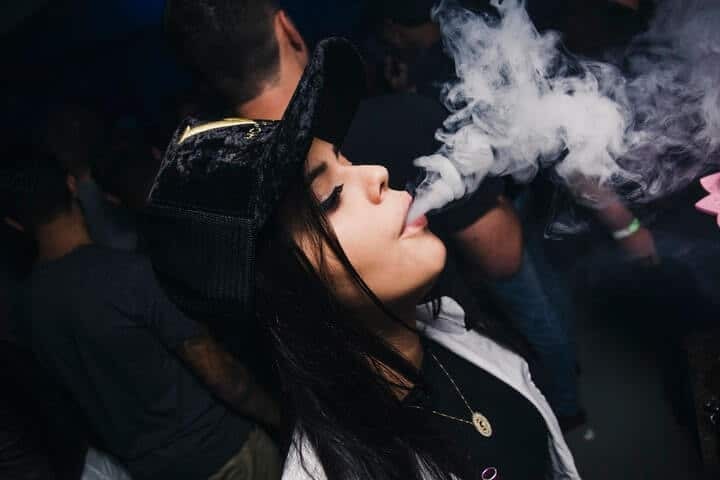 A little less conspicuous, we have a great list of names for girls who love a smoke now and again. Marley – The surname of the one and only Bob Marley. Makeda – The unique name of one of Bob Marley’s daughters. Also a good nickname for a stoner girl. Janis – Inspired by the 70s singer, Janis Joplin. Mae – A character from the movie ‘Reefer Madness’ which uncovers the effects of marijuana on teens. Nancy – Remember the pot-dealing mom from the TV show ‘Weeds’? Gaia – This is the name of the Goddess of Earth, responsible for all things growing, including weed. Sativa – An uplifting strand of marijuana also makes for a gentle girls name. Tommy’s Girl – Tommy is slang for marijuana so a girl who smokes could be Tommy’s Girl. 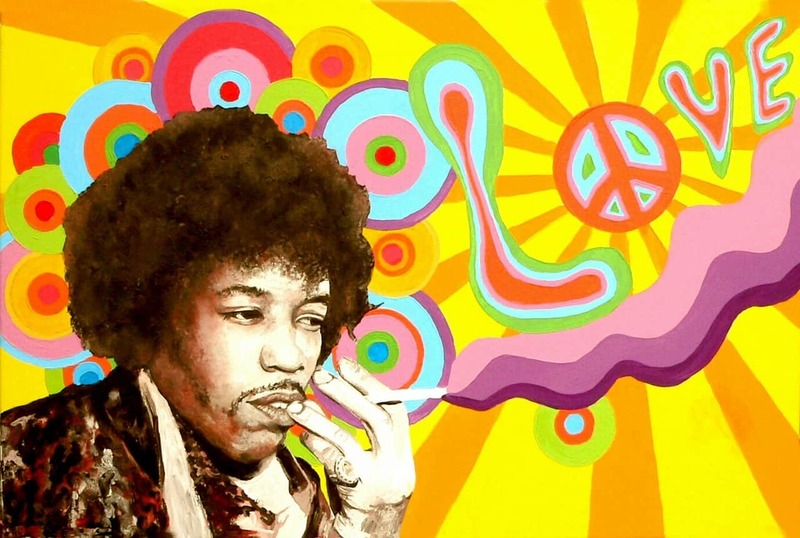 Some of the most successful names in history have openly been partial to smoking marijuana. From a former US President to one of history’s oldest playwrights, these nicknames for stoners all come from famous people. Barack – Barack Obama claims to have smoked frequently when he was younger. Bob Marley – Well, of course. Abraham Lincoln – Aside from his Hohner harmonica, his other favorite thing was said to be marijuana. Snoop Dog – Enough said. Johnny Depp – Seems a number of actors and actresses are successful as stoners too. 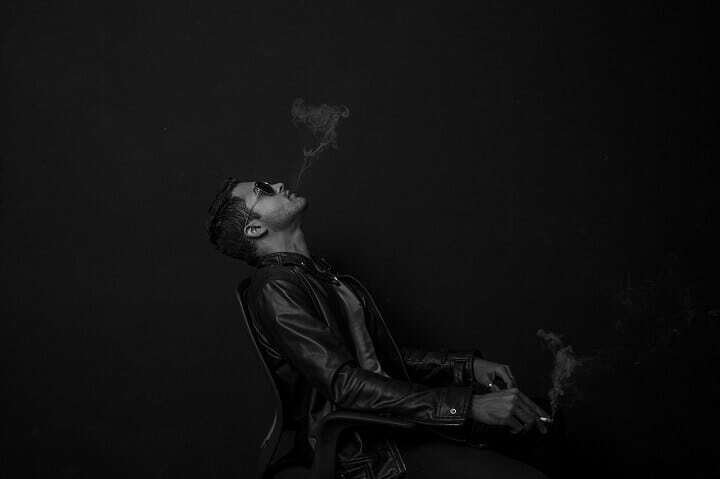 I.Am – The singer/songwriter known for his dope ring. Throughout history, there’s been proof that weed and stoners are not a modern phenomenon. In fact, the first joint was said to be smoked around the 3rd millennium BC. While these movie nicknames for stoners don’t date that far back, they do have some serious old-school appeal. 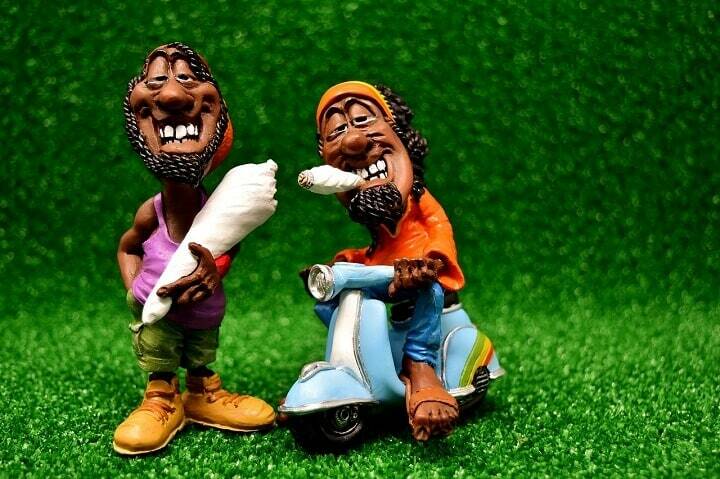 Cheech and Chong – From the movie ‘Up In Smoke’ released way back in 1978. Smokey – From ‘Friday,’ he was played by Chris Tucker. Weed is indigenous to central Asia and the Indian subcontinent, but it is now widely smoked around the world. Here are some of the most common names for stoners in other lands and languages. Sprangas – This is the name for stoners in Trinidad. Kiffer – Derived from ‘kif’ which comes from Arabic meaning ‘hashish.’ Kiffer can be used for someone who smokes weed. Hierbero – A Spanish name for someone involved in weed culture. Juanita – This is slang for marijuana that comes from Mexico, it also works as a nickname for a stoner. 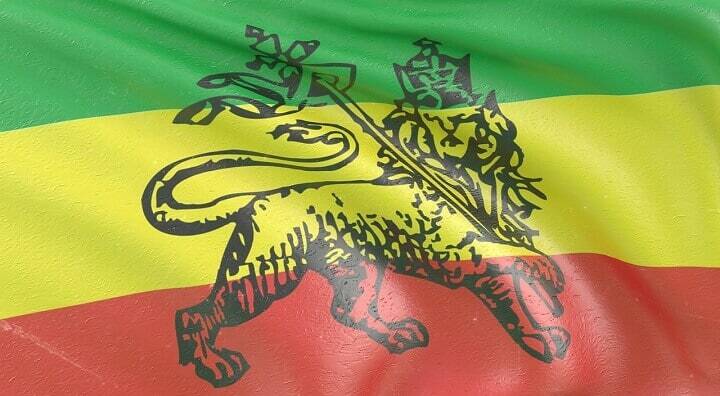 Kaya – Slang for marijuana of African origin, this can be a nickname for a smoker. Fagbo – “Igbo” is the term used for weed in Yoruba language (Nigeria), so Fagbo means Weed smoker. As if some of these nicknames for stoners haven’t been strange enough, we’ve collected a few based on animals… don’t ask! Bong Rat – From a bong used to smoke marijuana, this is a name for someone who constantly smokes weed. Blastasaurus Rex – Inspired by blasting up a joint, or lighting a spliff, this is a name for someone who smokes a lot of marijuana. Roo – The name for a baby kangaroo, one puff and this person is bouncing around for hours. Sloth – The absolute opposite of a Roo! Laughing Hyena – The effects of weed are different on different people, for some it changes them into a laughing hyena. Flame Broiled Chicken – Flame broiled is a term for being high, and chicken for a lightweight smoker. Hash Puppy – Like the shoe brand but more fun. So there you have it, a huge list of nicknames for potheads and stoners. Now it’s your turn to add a few stoner names to this list.